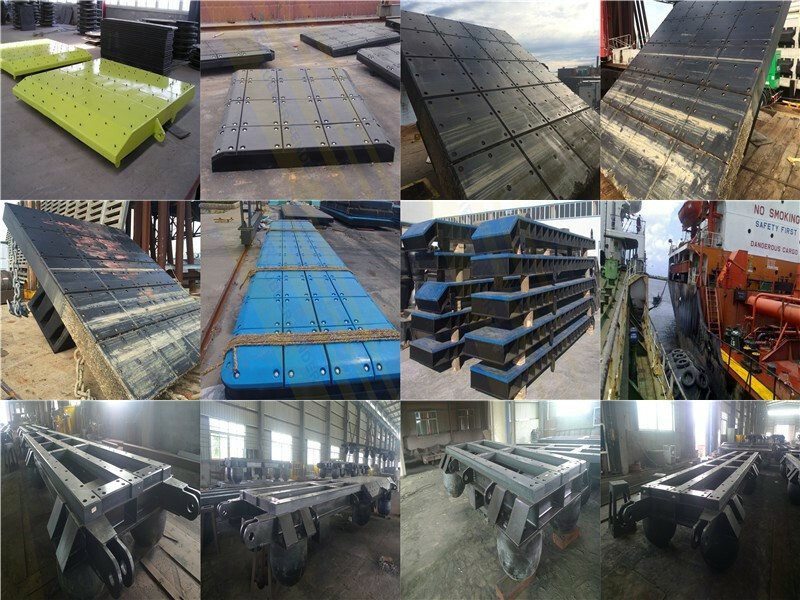 Product categories of Fender Frame, we are specialized manufacturers from China, Customized Fender Frame, Marine Fender Frame suppliers/factory, wholesale high-quality products of Fender Frame For Sales R & D and manufacturing, we have the perfect after-sales service and technical support. Look forward to your cooperation! High-demanding welded and High Strength Fender Frame, assembled with UHWM-PE sliding block and fender ball, can be used for engineering ship ,dredge, used to prevent collision and protect the ship or port. The construction is to be built according to the drawing with rules of good workmanship. Marine steel refers to steel used to make hull structures for ships and vessels of inland waters, usually of high quality carbon steel and low alloy steel. The ship steel requires a certain strength, toughness and certain low temperature and corrosion resistance, and requires good welding performance.